After our last annual meeting in Brussels in February (Belgium), all INRALS members met in Barcelona (Spain) at the beginning of November. Lot of new members were present: the network is expanding across the globe with 22 executive search compagnies and more than 100 employees. WE ARE A GLOBAL COMPANY WORKING LOCALLY ! International Network of independent agencies, specialized in HR Management with focus on high quality Recruitment, Assessment, Outsourcing and Consulting in the Life Sciences. Initiated in 2012, the International Network of Recruitment Agencies provides a platform for international collaboration as well as informal exchange of know-how, experience and expertise in recruitment, selection and outsourcing. 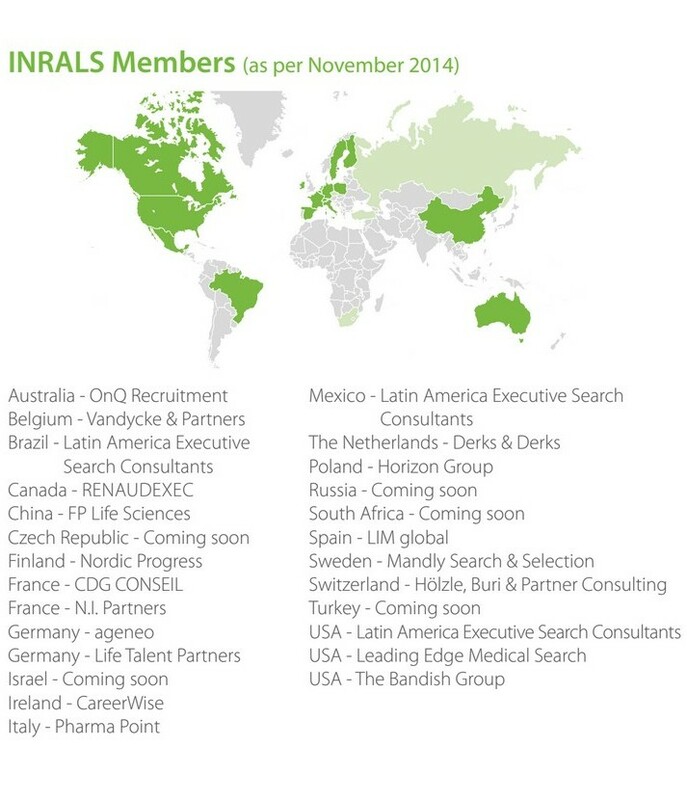 Companies associated with INRALS have strong links with pharmaceutical, medical and food industries. These agencies are characterized by high success rates, quality procedures, stability, proven track records, profound knowledge of the markets they serve and high moral standards. All the members participate in international tenders, have quick access to an international network of recruitment professionals and candidates. CDG Conseil est un Cabinet de recrutement basé à Paris & Lyon spécialisé dans le domaine de la Santé médicale : Industrie Pharmaceutique & Dermo-cosmétique, Matériel Médical, Médico-Social et Sanitaire. Toute l’équipe de CDG Conseil vous présente ses meilleurs voeux 2019 !